What Materials are used in today’s Commercial Roofing? How to Protect your Roof in High Winds	Do Metal Roofs Expand and Contract? Commercial roofing materials are actually not that dissimilar to residential roofing. There are some nuances that are specific to commercial roofs, however. For instance, a commercial roof tends to be much larger in scale than the roof of a single-family home. Due to the large scale of a commercial roof, special challenges can be posed for roofing contractors. In addition, elements such as precipitation and ventilation must be taken into consideration. So with the different challenges that a large scale roof presents and taking into consideration how important your roof is to your building, I wanted to discuss the different types of commercial roofing materials that are currently available to you and some of their benefits. Hopefully this will give you a little bit of an insight into why you might choose one material over the other when replacing or constructing your commercial or industrial roof. Among the most popular commercial roofing materials currently used in Australia today is a polymer membrane. This material has proven to be popular because it meets the challenge of waterproofing. Comprised of a single-ply membrane that is constructed from a synthetic polymer hybrid, a polymer membrane is also easy to install on a commercial roof. In addition, it can be cut to fit the distinctive contour of a commercial roof. 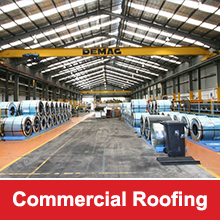 Metal roofing is now quickly becoming a selected material for commercial roofs. This type of roofing material offers a number of important benefits, including enhanced longevity. Metal roofs are also now a preferred option due to the fact that they are able to withstand the high winds that are so common in Australia. A metal roof can also help to protect a building from bushfires. Metal is also a popular choice in commercial applications due to the fact that exhaust machinery and other types of equipment can be easily secured on a metal roof while keeping it out of reach of the public. Asphalt roofing is considered a classic commercial roofing material. The process of applying this type of material involves beginning with a polyester base. Next, a coating of gravel, glaze, and asphalt is applied. Due to the layered application involved in asphalt roofing, it tends to be resistant to the elements. When properly applied, an asphalt roof can last between 20 years and 50 years. Slate roofing has been a common material used on commercial roofs in the past. In its natural form, slate roofing can last for centuries. This material also provides a distinguished appearance. In addition, slate offers the benefit of being resistant to algae and fungus, which means it requires less maintenance. Roofing shingles are more commonly associated with residential roofs, but they can also be used on commercial roofs. In a commercial application, a wood fibreglass base may be used in conjunction with an asphalt coating. While price is naturally an important consideration, you should also consider the durability offered by the material selected and whether it will be able to withstand the weight of the equipment and machinery that will be placed on top of the roof. If your commercial building is located in an area prone to high winds and/or bushfires, you should also consider whether the material selected is wind and fire resistant. If you are currently investigating which type of material is best for you and your commercial roof, then give us a call. 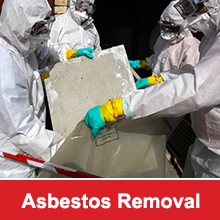 We offer a free consultation and can visit your location, as long as it is in Sydney, and inspect and then discuss what we feel will be best suited for you.